Back when I became a Smashing Pumpkins fan in 1996, I picked up their various albums and a few others odds and ends, but I didn’t go nuts. 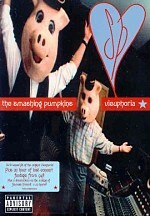 The only Pumpkins video then on the market, I grabbed a VHS copy of Vieuphoria but I never actually watched the whole thing. As I recall, I checked out a few minutes of it but it never engaged me; for reasons I don’t recall, something about the whole project seemed off-putting to me. Actually, I think I suffered from Alternative Rock Video Syndrome. Too many projects confused terrible production values with “authenticity”, and this left us with many borderline unwatchable video projects such as NIN’s Closure. I guess I figured Vieuphoria would follow suit, so I essentially dismissed the piece before I ever saw it. Now that Vieuphoria received a DVD release, I re-assessed that opinion and found it to be incorrect. While not exactly something you’d use to show off your home theater, the project seems higher quality than I expected, and it offers a lot of cool material. The 90-minute program mainly revolves around 10 live performance clips. Since Vieuphoria followed close on the heels of the Pumpkins’ breakthrough hit Siamese Dream, it seems unsurprising that most of the songs come from that album. Of the 10 tracks, only two originally appeared elsewhere. “I Am One” emanated from 1991’s Gish, while “Slunk” was on a 1992 EP called Lull. The performances on Vieuphoria stem from many different sources. Some originated at actual live concerts, while others first showed up on TV. For the latter, we find a mix of studio TV performances and material shot live elsewhere. All of them offer the band truly live, though, no matter what the setting may be. These different live segments are connected by interstitial bits. Those take on many different forms. 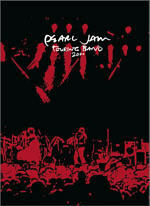 Some of them feature predictable material such as band interviews and comments from fans outside various shows. We also see some segments from the recording of Siamese Dream. The latter offer an explanation of the DVD’s cover photo, and a longer version of those pieces show up in the supplements as “The Unbearable Likeness of Manny”. In addition to these fairly standard segments, we find some more unusual bits. We get D’Arcy’s kitschy silent film about life in the band as well as a genuinely – and amusingly – painful interview on Japanese TV. We even get a Pumpkins attempt at comedy – sort of – with images of band members’ therapy sessions; given the well-known friction that apparently always existed within the Pumpkins, this piece seems fun. The live segments remain the heart of Vieuphoria, however, and they offer a lot of solid material. Musically, all of them work well. Some of the clips lose points due to annoying visuals, though. “Quiet” uses too many weird angles and quick cuts; all of those appear intended to add punch to the performance, but instead they just irritate. The trippy bluescreen visuals of “Disarm” also detract from the program. Nonetheless, most of the visuals appear simple and appropriate, and the music sounds great. Highlights include more than 12 minutes of live staple “Silverfuck” plus an interesting “unplugged” “Cherub Rock”. “I Am One” rocks viciously. Other than a meandering rant during the middle of the tune, that track seems terrific. Because it focuses mostly on the Smashing Pumpkins circa 1993-94, Vieuphoria won’t satisfy folks who desire a career overview. Nonetheless, the program offers a great look at the band in their early prime. The DVD packs a lot of fine music and it usually presents the songs succinctly; some visual gimmicks occasionally mar the piece, but not often. Vieuphoria seems like a compelling package. Vieuphoria appears in an aspect ratio of 1.33:1 on this single-sided, double-layered DVD; due to those dimensions, the image has not been enhanced for 16X9 televisions. Given the many different sources of the material, it didn’t come as a surprise that the clips demonstrated erratic picture quality. However, I felt that the program generally looked surprisingly good when I considered its origins. For the most part, sharpness appeared positive. Some of the clips seemed a little fuzzy and gauzy; “Cherub Rock” offered the biggest concern in that regard. However, the softness didn’t present any substantial concerns, as the image mostly looked reasonably crisp and detailed. Jagged edges and moiré effects seemed unproblematic, and I also noticed no signs of edge enhancement. A little light artifacting occurred, but overall, the source material appeared clean and displayed no problems. Colors varied dependent on the original material. Some stylization occurred, especially during “Quiet”, which offered the most extreme example of weird hues. Usually the tones came across as fairly tight and vivid. The colors occasionally appeared somewhat heavy, mostly due to the lighting at live performances, but the hues remained reasonably concise and accurate. Black levels seemed dark and dense, while shadow detail was appropriately thick but not too opaque. Note that when I formulated my picture grade, I only considered the 10 musical performances. I ignored the interludes between songs, since they seemed extraneous. Many of them looked pretty terrible, but most were shot on cheap equipment and not meant for posterity, so I didn’t mind this. Overall, I thought Vieuphoria presented a reasonably distinct and attractive visual image. While not a great representation of the music, the Dolby Surround 2.0 soundtrack of Vieuphoria worked fine as a whole. Of course, the quality varied from song to song, but the mix mostly manifested decent audio. The forward channels heavily dominated the mix, as the surrounds played little role. Stereo imaging seemed good but unexceptional, and it didn’t seem consistent for all the tunes. “Slunk” and “Geek USA” sounded monaural, whereas the other tracks showed fair delineation of instrumentation but didn’t stand out as particularly distinct or well defined. As for the audio quality, the mix seemed to represent the original music fairly well. Guitars mostly showed good buzz and crunch that matched the typical Pumpkins sound, and vocals came across as reasonably distinct and clear. Drums lacked much punch or snap, however, and bass response could be somewhat muddy. However, even the Pumpkins’ studio recordings display lots of inconsistencies and suffer from many of these issues. They often came across as somewhat murky and flat, and those properties occasionally affected Vieuphoria. “Quiet” and “I Am One” seemed particularly dense. Overall, however, I felt the audio of Vieuphoria worked acceptably well, especially given the mélange of sources for the material. While not as packed as the Pumpkins’ excellent greatest Hits Video Collection, Vieuphoria nonetheless tosses in a couple of extras. First up, The Unbearable Likeness of Manny lasts 11 minutes and 12 seconds and purports to show Virgin Records A&R man Manny Chevrolet as he visits the Pumpkins in the studio during the recording of Siamese Dream. Seemingly based on Artie Fufkin from This Is Spinal Tap, this January 1993 session shows some elements of the recording process and also includes interviews between Chevrolet, the band, and producer Butch Vig. The latter elements seem fairly useless – they’re way too jokey – but the shots of the band at work offer some intriguing elements. Even better, however, is the Lost ’94 Tapes. 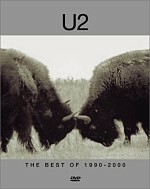 This 54-minute and 25-second piece includes nine songs from a 1994 concert. It starts with a very lame introduction from a “scientist” who warns us of the source material’s poor quality. Once we get into the show itself, we find out that the quality’s really not that bad. The video shows some stuttering and general muddiness, and the mono sound seems erratic, but given the source material, I think it comes across as perfectly watchable. “Snail” sounds worst, mostly due to noise from the original footage. For the most part, “Lost” displays the original concert fairly well. At times, it suffers from some “trippy” superimposed imagery; this just distracts from the show and seems pointless. Still, the concert works well overall. It includes these songs: “Quiet”, “Snail”, “Siva”, “I Am One”, “Geek USA”, “Soma”, “Hummer”, “Porcelina” and “Silverfuck”. While not a terrific depiction of a vintage Pumpkins show, “Lost” nonetheless gives us a very cool extra. I didn’t expect much from Vieuphoria, but ultimately I really liked the program. It included some excellent performance material as well as inconsequential but watchable behind the scenes bits. The DVD provided surprisingly good picture along with decent sound and a nice roster of extras highlight by almost an hour of concert footage. Folks new to Smashing Pumpkins will probably want to start with the career overview of their Greatest Hits Video Collection, but already established fans should really like this set.